On 22 September 2016, a High-Level Panel discussed the summary document of the report. followed by OECD Secretary-General Angel Gurria, who discussed the importance of tackling violence and fragility in the post-2015 world. Read the remarks by SG Gurria. 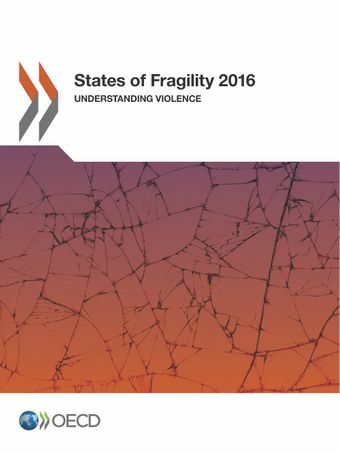 On 30 November the States of Fragility 2016: Understanding Violence was officially launched. The launch was held as a side event during the 2nd High Level Meeting of the Global Partnership for Effective Development Co-operation in Nairobi, Kenya. The event was hosted and opened by Minister Joe McHugh, Irish Minister of State for the Diaspora and Overseas Development Aid. He was followed by H.E. Ms. María del Carmen Nasser de Ramos, Vice Minister of International Cooperation and Promotion, Ministry of Foreign Affairs, Republic of Honduras. Doug Frantz, Deputy Secretary General of the OECD, spoke about the importance of tackling violence and fragility in the post-2015 world. Ms Rachel Scott, Team Leader Fragility, Conflict and Resilience, OECD, presented the report’s key findings and recommendations. Prezi presentation available here.